A secret document accidentally posted on the internet reveals plans to build a series of massive hydroelectric dams in the Malaysian state of Sarawak, submerging the homes of at least a thousand Penan, Kelabit and Kenyah tribal people. 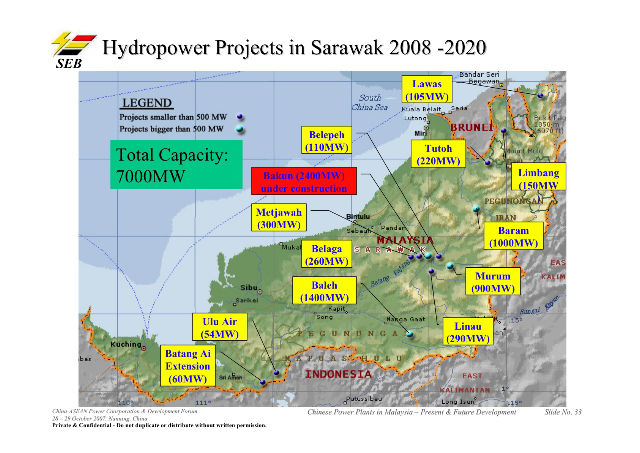 The document is a presentation by the managing director of the company Sarawak Energy Berhad, and gives the location of twelve proposed hydroelectric power projects to be constructed between now and 2020. Sarawak Energy Berhad controls the production and distribution of electricity within the state. The dams would submerge several Penan, Kelabit and Kenyah villages, displacing at least a thousand people. One dam would also submerge part of a UNESCO World Heritage site, the Mulu National Park. The dams are projected to produce far more electricity than Sarawak uses. The Penan have been fighting for twenty years to prevent logging companies, including the Malaysian timber giant Samling, from cutting down their forests. But the companies, with the backing of the Malaysian government, have devastated much of the tribe’s land. 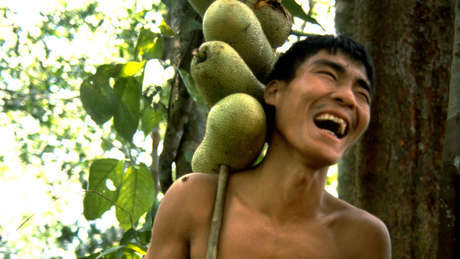 The Penan are nomadic hunter-gatherers. Many have now been settled, but continue to rely very much on the forest for their existence. About 300 still live a completely nomadic life. The Sarawak Energy Berhad presentation was posted on a Chinese website and has now been removed.